I’m still here, although a little bit drowning under around 3000 emails to get through, plenty of blog posts to read, lots of illness and stress of trying to move countries. 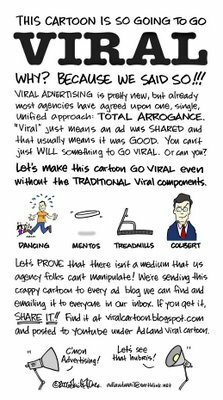 Until I catch up, here’s a meta viral about virals. Saying something similar to what I said over here. There’s even a video version. Ina small way, I find it funny.